Clouds, Silver Linings, and the Kongoli. 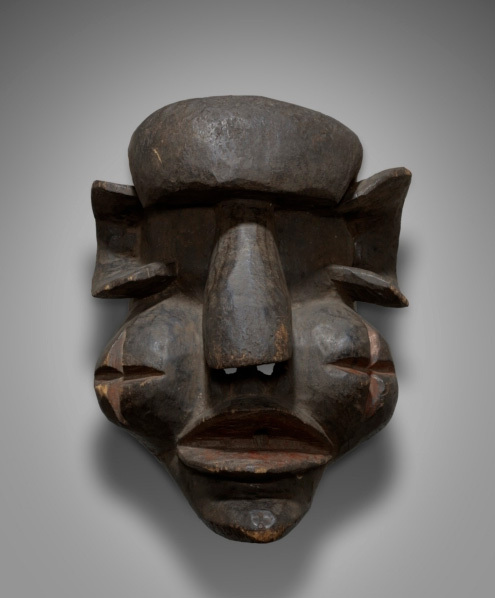 One of the benefits of Collecting Tribal African Art is simply gaining exposure to the diversity of cultural knowledge associated with the tribes, and masks. The day did not begin well. Today (01/12/14) marked the second consecutive auction where I missed placing a bid on a mask that seemed interesting. 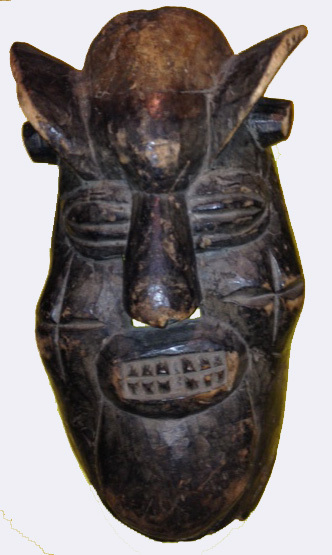 It was advertised as a Kongoli from the Mende culture in Sierra Leone – I had never come across this type of mask (or so I thought), but accessing the auction mere minutes after the mask was sold seemed unbelievably unlucky. In an auction in December I missed an Igala mask (gutting) because I fell asleep after shoveling snow. So, on the bright side I decided to read up on the Kongoli mask, and I’m sure glad I did. Apart from being a funny mask, from a tribe with a great masking tradition, I realized I actually had one in my collection. 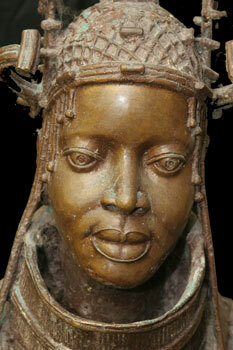 It had been mis-categorized as belonging to the Bamum tribe, from the Cameroon. Cue the silver lining. It absolutely turned my day around, but there’s another side to this that blew me away. Modern society is becoming increasingly paralyzed by political correctness. The Kongoli is in truth and fact “the village clown”, and as the following video demonstrates sometimes entertainment is simply entertaining. Information on African Tribes – Demographics, Politics, Religion, History, Economy, Tribal Art, Neighboring Tribes, Culture, Language. SIERRA LEONE: Temne, Mende, Kisi, Goree, Kru. WINDWARD COAST (including Liberia): Baoule, Vai, De, Gola (Gullah), Bassa, Grebo. Fulani, Tuareg, Dialonke, Massina, Dogon, Songhay, Jekri, Jukun, Domaa, Tallensi, Mossi, Nzima, Akwamu, Egba, Fang, and Ge. Scrooge, Michael Vick, and Redemption. I’m not happy for Michael Vick. Why should I be? He makes his, he got his, and with half a brain and an ounce of luck, his finances will be fine. 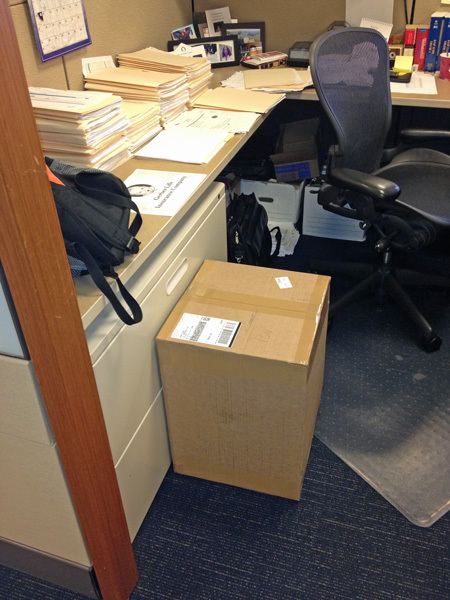 I wish him well… Bah! Humbug! That said i do feel a touch of delirium coming on. What i am happy about goes way beyond watching MV rip and shred the Giants to a sputtering mass of bewildered looks, and irrational apoligetics. I finally understand that the melting pot of America does not start in the corridors of power, the halls of hallowed cathedrals, nor the voting booth. There are seminal moments in music, art, and sport that change our conditioned prejudices, our clinging debilitating favoritisms, and allow us to have fun together, unite, and move falteringly toward the promise of this great nation. There are stories of redemption and forgiveness that transcend our narrow-minded views of right and wrong. A goose-bump giving essence that rattles our stereotyped views and renders the limits of our moral and ethical logic to so much mush as we reconsider the impossibility of the Eagles comeback in the last seven minutes on 121910. These are the stories that shrivel moats of genteel etiquette, pedicured mannerisms, and hoarded wealth. Maybe we wouldn’t last a minute on a football field, but here’s hoping that we can each bring to our daily lives a little of the heart, hunger, and preserverance that MV and his teammates continue to display in their fascinating run to the 2010 Superbowl. 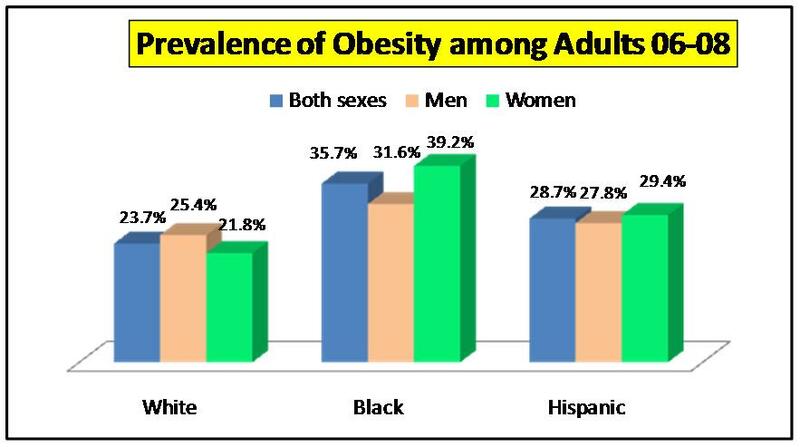 In the US the difference between the Prevalence of Obesity (POB), in Black men and Black women (just taking the statistics at face value) is a full 7.6 percentage points (pps). In Whites the men are ahead by 3.6 pps, while in Hispanics the women are ahead by some 1.6 pps. There is absolutely no good news here for the African American Community. The POB for Blacks (M & F) outstrip Whites by 12 pps and Hispanics by 7 pps. A cultural distinction is that some Black women tend toward the Mende ideal of feminine beauty, while some White males tend toward the benevolent Marlon Brando (Godfather) extreme. one hour of moderate-intensity activity each day. Sowo-wui (Ndoli Jowei) : "The Sande woman is not a child!!" 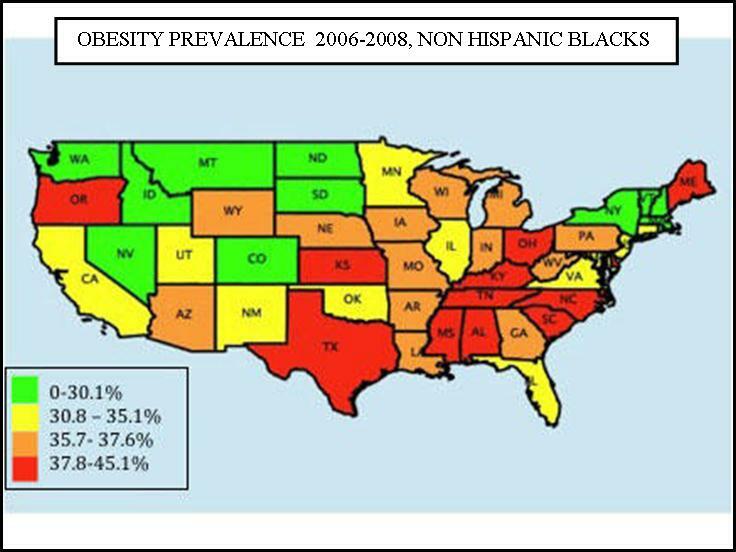 The many reasons for avoidable obesity lie in a mix of poverty, lack of education regarding cause and effect, and the higher cost and lack of availability of healthy food groups. One of the most difficult problems however in combating the obesity fight is the mindset of the individual. The cultural norms regarding food groups – for example diets high in carbohydrates and salt, set early patterns for increased obesity in later years. In some cultures a more rotund figure is seen as a mark of prosperity, and good living. The onus is on society to improve the communication of the dangers of an above average sedentary lifestyle, and the myriad disadvantages posed to the individual, especially the children. Applying the idealistic concept of communal living in a practical framework can be fraught with missteps. Many years ago it was enough to start a discussion by either modeling the basic framework on a continuum, or by using a discrete (good/bad) function, but nowadays one can pick a specific point of balance and (very much like enlarging a view on a smartphone by widening one’s fingers) examine the merits or demerits from a sustainable and practical perspective. The kibbutzim were built on the attempt to create a permanent and institutionalized framework, which would be able to set a pattern of conduct which would successfully handle the implementation of shared values…..The original concept of the kibbutzim was based to a large extent on self-sacrifice of its members for the sake of abstract foundations and not on the cancellation of work, and therefore after the pioneer period the linkage between the kibbutz members decreased, due to the decline in the pioneering spirit and the decline in the importance of the self-sacrifice values. So one can argue that utopian ideas were incorporated into practical life without going through the period of practical development and flexible adaptation. Ideas which may seem foreign and socialist to a certain degree (equal pay, sharing property, equal standard of living) were attempted, which in the long term did not thrive in the globalization of an individualistic and capitalistic society. 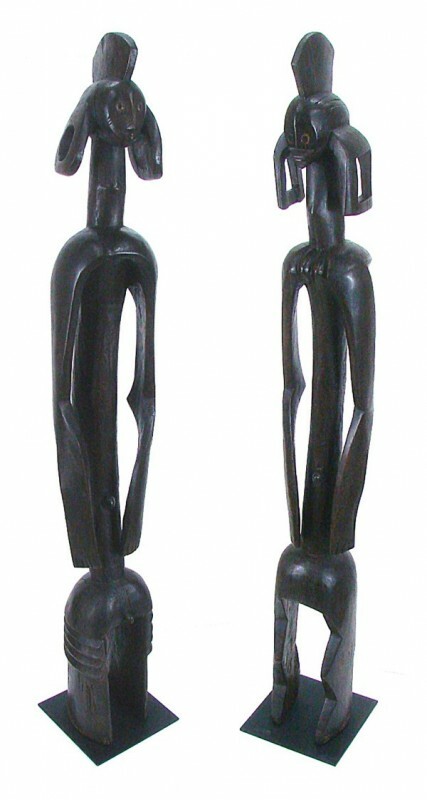 The Sande (Female society of the Mende , Sierra Leone) used a much more flexible and socially inclusive device to develop their Value – Ritual – Norm (VRN) system. The most important aspect seemed to be the initial transfer of Values. 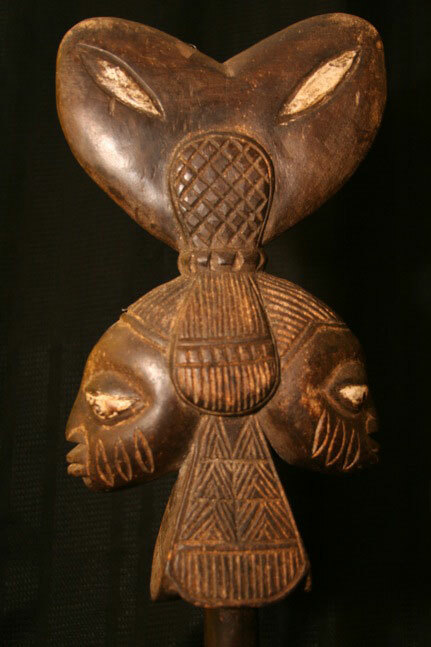 The head of the Sande lodge is the Sowei, who is in charge of the initiation of young girls and are viewed as the “arbiters and creators of beauty and morality in Mende society.” The Sowei’s mask is referred to as the Sowo-wui or is more commonly known to as the “Mende Mask”. It is through the masked spirit counterpart, Sowo, that the Sowei receives her temporal authority. This is the ritual aspect of this value transference device which then develops into the social norms or rules followed by the community. Again each initiate can aspire to the utopian ideal at their own pace as opposed to hard and fast rules laid down by community leaders. In her book, Radiance from the Waters, Sylvia Boone identifies several Sande (and Mende) social ideals. Nemahulewe – cleverness, intelligence, use of mind. Ndilo – bravery, courage, (the heart can stand the strain). But there is more….. the Sande Society has two masks, for while Sowo shows the nobility of human Sowei the counterpart of failure and disgrace belongs to Gonde.